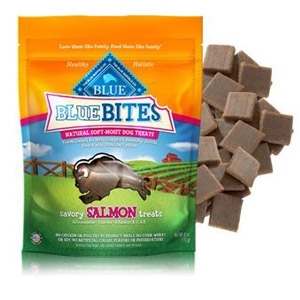 BLUE Bites™ are tender, tasty tokens of your affection for furry family members of all shapes and sizes. Moist and meaty, BLUE Bites™ are made with naturally healthy and delicious ingredients. Plus, BLUE Bites™ are the only moist dog treats with a unique blend of natural ingredients that help promote specific health benefits.